The 21st century has brought about many changes in education, especially in more developed countries. Teachers are trying to integrate technology into their teaching practices as much as possible, not only because technology enables better and quicker collaboration, but also because it will soon be impossible to land a job after graduation without extraordinary computer and Internet skills. One of the newer and most popular trends in teaching is using iPads. In a not-so- distant future, iPads will probably replace paper notebooks, and students will most likely be using such tablets for most of their school work. Students are already using their mobile devices to take class notes, collaborate on projects, share papers and presentations with their teachers, and much more. Aside from mobile devices, students use mobile apps to help them get their work done in a timely and successful manner. Among such apps there are organizers, task managers, calculators, dictionaries, sketchbooks, PDF readers, and more. PDFs are still among the most popular file formats and they are widely used on mobile devices. An average mobile device user will probably use a PDF document for reading materials on the go, since there is much handy online material in PDF that teachers can upload and use for class. If a student would like to do more than read the material, PDFs can also be converted into editable formats in order to work with material further. 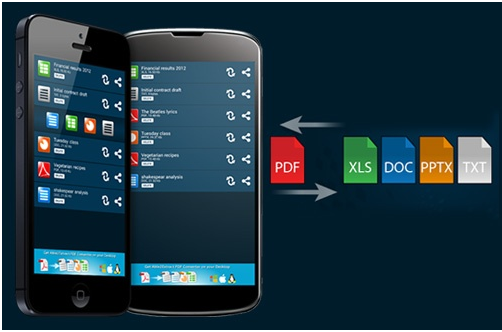 If you are looking to perform such action on your mobile device, you are going to need a good PDF converter, and Able2Extract Mobile is a great example of one. It is free, which is very important for students without the resources for expensive software, and it is lightweight – again, very important, because of the limited memory of our mobile devices. – To turn PDF exercises into Word in order to input answers or take notes. 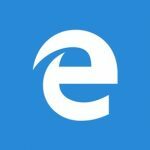 These are only a few examples of how Able2Extract can be useful to a student who is commuting or for any other reason unable to work at their desktop/laptop computer. This lightweight PDF app is very easy to use, so even users who are new to mobile technology can learn to use it quickly. There are two versions of the software for Android and for iOS users. However, they both work in a similar way. 1. Open the file using Able2Extract. 2. Tap the conversion icon. 3. Choose which file format you want to convert it to: Excel, Word or PowerPoint. You can similarly convert any MS Office file into PDF. After the conversion process is done, the converted file will appear on your file list. There is an excellent guide to converting documents using Able2Extract on the developer’s app page, with images and a clearly explained step-by-step process, so anyone who wishes to give the app a go should head over there and start converting.